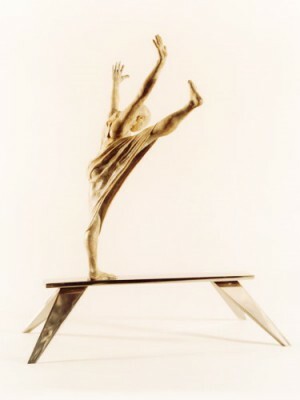 The figure in this sculpture is cast in bronze and the base is in stainless steel. It is an edition of 12. Click here to view more contemporary sculpture by Kenneth ROBERTSON.